A guide to data collection, modeling and inference strategies for biological survey data using Bayesian and classical statistical methods. 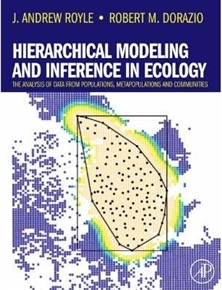 This book describes a general and flexible framework for modeling and inference in ecological systems based on hierarchical models, with a strict focus on the use of probability models and parametric inference. Hierarchical models represent a paradigm shift in the application of statistics to ecological inference problems because they combine explicit models of ecological system structure or dynamics with models of how ecological systems are observed. The principles of hierarchical modeling are developed and applied to problems in population, meta population, community, and meta community systems. 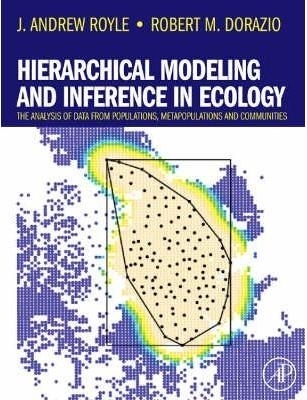 The book provides the first synthetic treatment of many recent methodological advances in ecological modeling and unifies disparate methods and procedures.The authors apply principles of hierarchical modeling to ecological problems, including: occurrence or occupancy models for estimating species distribution; abundance models based on many sampling protocols, including distance sampling; capture-recapture models with individual effects; spatial capture-recapture models based on camera trapping and related methods; population and meta population dynamic models; models of biodiversity, community structure and dynamics; wide variety of examples involving many taxa (birds, amphibians, mammals, insects, plants); development of classical, likelihood-based procedures for inference, as well as Bayesian methods of analysis; detailed explanations describing the implementation of hierarchical models using freely available software such as R and WinBUGS; and, computing support in technical appendices in an online companion web site.